Royal Dutch Shell on Monday said it had shipped the first condensate cargo from its Prelude floating liquefied natural gas (FLNG) project off northwestern Australia over the weekend. 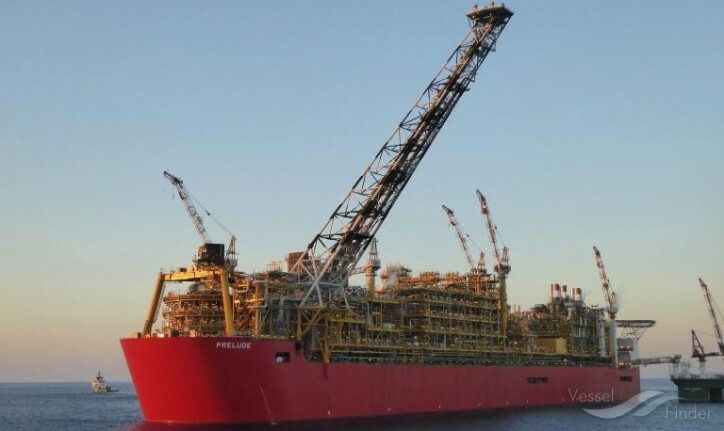 "We can confirm that the first shipment of condensate has sailed from the Shell-operated Prelude FLNG facility. This is another step towards steady state operations," a Shell spokeswoman said in emailed comments. Shell had hoped to start generating cash flow from Prelude in 2018, but has yet to start shipping LNG from the project, which was to have been the world's first floating LNG facility but was beaten by Malaysia's Petronas. The company declined to say when it expects the first Prelude LNG cargo. "The focus continues to be on providing a controlled environment to ensure Prelude will operate reliably and safely now and in the future," the spokeswoman said. Shell also declined to comment on a report in the West Australian newspaper which said one factor that has delayed LNG production is a problem with the arms built to transfer LNG from Prelude to tankers alongside the massive vessel. Prelude, designed to produce 3.6 million tonnes a year, is the last and smallest of eight LNG projects built in Australia since 2012, putting the country on course to overtake top LNG exporter Qatar's capacity. Prelude is the world's biggest floating LNG production unit and the biggest maritime vessel ever built.